While reciprocating applications can certainly test seals to the edge of capability, rotary applications can present the greatest challenge to seal integrity and wear life. 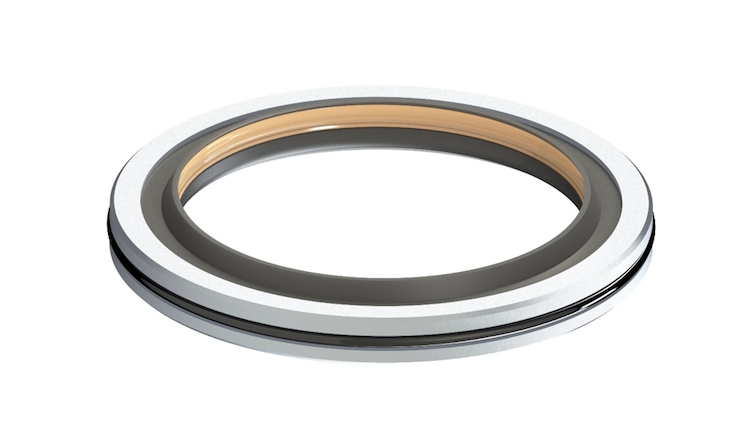 Unlike reciprocating configurations where the seal acts on a different part of the shaft or bore throughout its operating range, rotary seals must operate on the same sealing area continuously. This makes things like heat rejection much more difficult — especially in unlubricated or dry running applications. Extreme localized heating can have negative affect on both seal and hardware life. Rotary applications also pose sealing difficulties due to the fact that surface speeds can be much higher than in reciprocating systems. A simple electric motor can operate at very high rpm. Meanwhile long-stroke, high-speed reciprocating machinery is a major piece of equipment that’s far less common (although Eclipse has provided clients with sealing solutions in a number of these situations). A customer approached Eclipse with an application that was beyond the scope and capability of any standard, off-the-shelf rotary seal. Their sealing system required a combination of wear-resistance in high-speed rotary, as well as excellent leakage control and sealabilty —two factors that often work in opposition to each other. The customer was developing a test system that required an electric motor shaft passed through the wall of a large vacuum chamber. The testing apparatus needed a sizable motor to meet the speed and torque requirements. Adapting the motor to operate inside the chamber wouldn’t be practical due to contamination and motor cooling concerns. The motor would have to be placed outside the chamber, and drive shaft would have to go through the chamber wall — which would need a seal. The customer knew that any kind of off-the-shelf rotary seal with a rubber element wouldn’t last any amount of time in the combination of speed and a dry running condition. They also knew a single lip PTFE seal would likely not meet their leakage requirements. They turned Eclipse for a custom sealing solution. Eclipse is frequently challenged by our customers with difficult rotary sealing applications. In most cases, something like a commonly-available oil seal is tried with unacceptable results. In this case, the combination of high surface speed and the dry running condition would quickly spell doom for any elastomeric or rubber sealing element. While a simple cased single lip PTFE seal would perform adequately in terms of wear life, Eclipse knew the customer would not be happy with the level of leakage control in a vacuum sealing application. Thankfully, Eclipse’s years of seal development experience has yielded a number specialty and unique design features to enhance seal performance in such demanding situations. Eclipse developed its Crimped Case Seal (CCS) to work in just such applications. 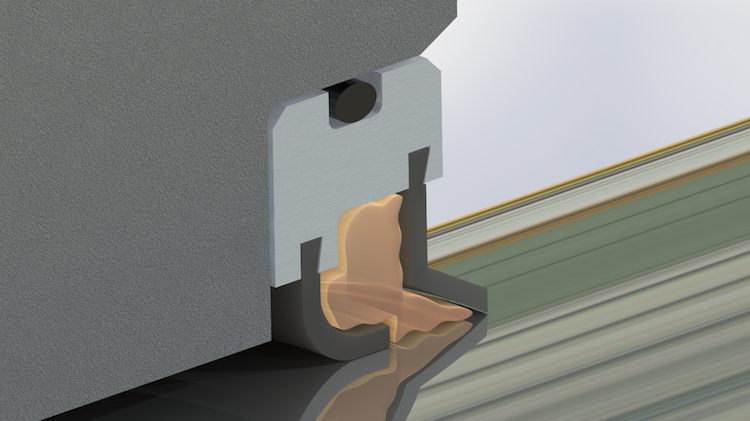 A CCS features a machined case in which the sealing lips are installed into small ID grooves. The case material is commonly aluminum, but can also be various grades of stainless steel. Using a press, the groove is then compressed to crimp the sealing lip(s) in place. The groove geometry is carefully designed to allow for an exact amount of contact and pressure to provide a fully sealed interface and secure anti-rotation of the lips. The CCS is ideal in medium or low-volume applications. When compared to a traditional rolled can lip seal, a CSS eliminates both internal gasket and spacer components. The CCS doesn’t require special tooling or machine set-up charges, making it optimal for prototype and low quantity applications. Because Eclipse’s CCS seals are machined and made to order, they can be customized for specific sizing and feature requirements. Knowing that high sealabilty in vacuum was critical for this application, Eclipse chose to incorporate a unique design feature that’s only possible on a CCS. An O-Ring groove can be integrated into the outside diameter of the machined case. 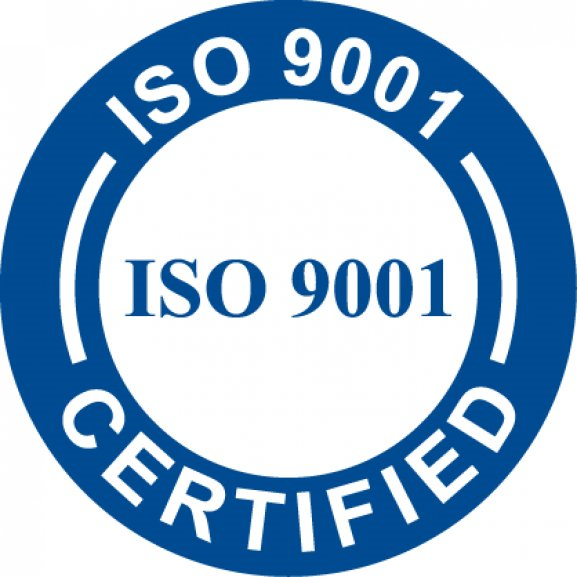 An O-Ring specific to the application can then be used to provide a redundant and higher level of sealability on the OD of the seal. The case of a CCS is still designed as a press-fit into the hardware. In standard situations, this is enough to provide adequate sealing around the outside of the seal. When a critical level of leakage control is required, the O-Ring supplies sealing assurance against any hardware machining imperfections or surface finish irregularities and should outperform any outside diameter (OD) case coating available on traditional seals. The second specialized feature Eclipse incorporated was the use of dual-sealing lips. While this isn’t uncommon in PTFE lips seal, Eclipse’s design differentiates itself by using both a machined lip and a formed lip. In this case, the machined primary sealing lip was designed with a precise angle of contact, allowing for exact interference control and defined point loading. In other situations, the machined lip thickness and design can be tailored to handle higher pressures or for extended wear life. 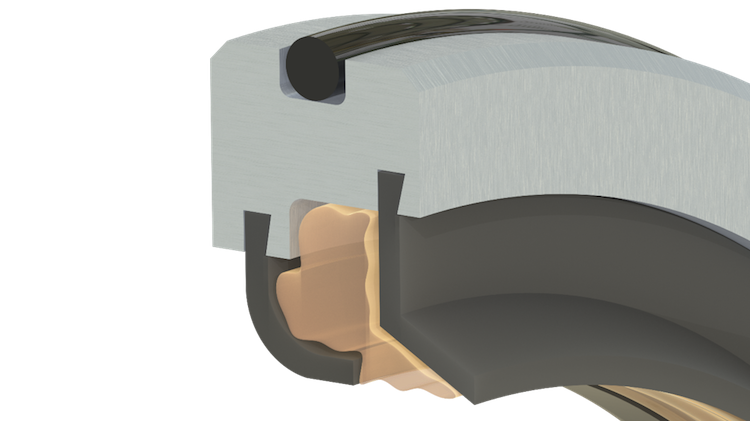 The secondary sealing lip, which would be formed on a mandrel in the tradition fashion, provides a long lay-down on the shaft and therefore a large contact patch. Especially in sealing vacuum, this effective sealing distance helps create a greater sealing barrier. The combination of both sealing design principles, point loading, and long lay-down give the seal the best opportunity possible of sealing with minimum leakage. Eclipse chose it’s ET013: Fiberglass/MoS2 filled PTFE for the lip material which would deliver a good mixture of wear life, sealabilty and lubricity. Eclipse had one more additional design element to employ. A dual lip design allows for the use of a grease pack between the sealing lips. Adding a grease pack does two things: First, it creates a tertiary sealing barrier. Much like the lay-down of a formed lip, the grease can create an additional leakage impediment partition. Second, the grease will provide much needed lubrication to the primary sealing lip. This can help the lip to break in properly, and extend service life. The type of grease used can be customized to the specific application — whether it be vacuum grease, or greases with specific properties to help performance, such as ones containing solid lubricants like MoS2. Eclipse has also used very specialized greases ranging from FDA compliance specific to focused water barrier protection. The customer was delighted that Eclipse’s Dual Lip CCS provided both acceptable levels of leakage control and seal wear life. The advanced features of Eclipse’s seal design allowed the customer to operate their vacuum chamber at the desired levels without any additional or upgraded pump-down equipment. The specialized features including the combination machined and formed lips, O-Ring OD, and grease pack all contributed to the sealing success of the system. Contact us today if a rotary sealing solution is needed for your application.